Demand for telephones in India saw a rapid increase in the 1990s, and the government was under huge pressure to allow the private sector to invest in the Indian telecoms industry as part of the country's liberalisation, privatisation and globalisation policies. Thus, private investment in the value-added services sector was allowed by the government, and the cellular telecom sector was opened up for competition among private investors. The government announced the National Telecom Policy in 1994 (NTP-94), under the terms of which eight cellular mobile telephone service licences were granted to private operators. The entry of private operators in the telecoms industry created a need for independent regulation. The Telecom Regulatory Authority of India (TRAI) was therefore established in 1997 to regulate the telecom services of India, including fixation of tariffs for telecom services, which were earlier regulated by the central government. Further, in 1998, the government declared the policy for internet service provision by private operators, and the licensing of ISPs began from then. A New Telecom Policy came into existence in 1999 (NTP-99), which emphasised the opening of all segments of the telecoms industry for private sector participation. The NTP-99 strived to create an environment that would enable the continued attraction of investment into the telecoms sector and also enhance the creation of technological infrastructure by leveraging technological developments. An addendum was added to the NTP-99 introducing UASLs to allow licensees to provide telecom services stipulated therein, covering various geographical areas in India. 3G and BWA services hold compelling potential for the internet and a host of other applications, which have been further strengthened by the rollout of 4G services. The combined effect of these regulatory policy regimes led to a sudden spurt in the growth rate of the sector and falling tariffs. Recently, however, growth in this sector has been threatened by limited availability of spectrum, declining rates of return and deterioration in the quality of service. In January 2011, the Department of Telecommunications (DoT), Ministry of Communications and Information Technology, announced the formation of a committee to revisit the NTP-99 and drafted the New Telecom Policy, which was approved by the Union Cabinet with few amendments as the National Telecom Policy 2012 (NTP-12) in May 2012, finally replacing the NTP-99. The NTP-12 seeks to provide a stable policy regime for about 10 years, and focuses on the availability of affordable and effective communications for citizens as well as the convergence of network, services and devices. The DoT, with the approval of the Union Cabinet, implemented the UL regime, which covers all telecom services in India, in keeping with the objective of the NTP-12 and the 'one nation, one licence' policy (see Section II.ii). With the advent of new and emerging technologies such as 5G, artificial intelligence and the IoT, the Department of Telecommunications released the draft National Digital Communications Policy, 2018 (NDCP 2018), which aims to provide a roadmap for ushering in a digital revolution in the country and further seeks to unlock the transformative power of digital communication networks in order to achieve the goal of digital empowerment and the wellbeing of the people of India. To understand the true state of the TMT sector in India, the multiple issues that plague the telecoms industry and growth in the country must be recognised. While the constant decrease in ARPU worries industry stakeholders post the offers brought in by RelianceJio, consumers on the other hand are frustrated by increased network congestion and call drops, and the attendant quality-of-service issues. 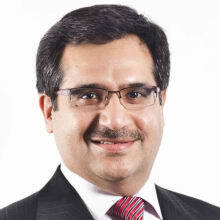 Recent changes in technology and regulatory policies, such as liberalised FDI, the UL regime and NTP-12, along with discussions about the issue of OTT players, net neutrality, the Communication Convergence Bill 2001 and NDCP 2018, have brought changes in the industry to the benefit of end users as well as to the structure of industry players. the policy guidelines for uplinking and downlinking of television channels. The Telegraph Act 1885 empowers the government to operate and maintain working telegraph services in India. The DoT is entrusted with the task of granting licences to Indian companies for the provision of various telecoms services. The Ministry of Information and Broadcasting (MIB), along with Prasar Bharti (India's largest public service broadcaster), is the nodal agency for controlling and issuing guidelines, policies and licences for the broadcasting sector and the electronic media. The Broadcasting Services Regulation Bill 2009 (Broadcasting Bill) proposes forming a broadcasting authority to regulate issues relating to, inter alia, cross-ownership and content regulation for television channels. The TRAI acts as a regulatory body for both the telecom and broadcasting sectors and has both regulatory and recommendatory functions. It issues regulations and tariff orders on various subject matters pertaining to the telecommunication and broadcasting sectors, and gives recommendations to the government on the allocation of spectrum, guiding terms and conditions of various licences. The Telecom Disputes Settlement and Appellate Tribunal (TDSAT) was set up under Section 14 of the TRAI Act by an amendment to the same in 2000 to adjudicate disputes and dispose of appeals with a view to protecting the interests of service providers and consumers of the telecoms sector, and to promote and ensure orderly growth of the telecoms sector. The functions of the Appellate Tribunal are to adjudicate any dispute between a licensor and licensee, between two or more licensees, or between a licensee and a group of consumers, and to hear and dispose of appeals against any decision or order of the TRAI. India is a signatory to the WTO Basic Telecommunications Agreement, and has duly met the terms of its agreed obligations, including the opening up of basic voice, cellular mobile and data services, and private leased lines, and the waiver of customs duties on the telecoms sector. The IT Act and its Rules provide legal recognition for transactions carried out by means of electronic data interchange and other means of electronic communication. In terms of the Telegraph Act 1885, the DoT may grant a licence to any Indian company to operate a telegraph subject to certain terms and conditions and in consideration for an appropriate payment. A telegraph licence enables a licensee to offer licensed communication services by establishing, maintaining or operating telegraph devices such as exchanges, routers, switches and transmitters. Licensed activities include transmission of voice and data over the telecommunications network. 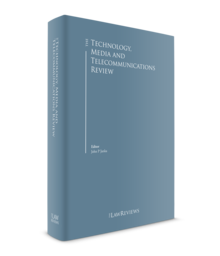 The regulatory framework for telegraph licences in India went through a sea change with the introduction of the UL regime, as contemplated by the NTP-12. The erstwhile licensing arrangement was classified by the type of services offered, which was derived from the NTP-99. resale of international private leased circuit services. The UL, in addition to general conditions of the licence and provision of services, also contains certain service authorisation-specific conditions for the licensees of the respective authorisation. It should be noted that for some categories, like other service providers (including business processing outsourcing units), no licences are issued by the DoT; there is only a requirement for registration as provided under the Revised terms and conditions other service provider category, 2008, as amended from time to time. Under NDCP 2018, in order to secure universal broadband access, a national broadband mission (Rashtriya Broadband Abhiyan) is to be established. To accelerate migration to 4G and 5G, a fibre to the tower programme will be facilitated. In order to improve international connectivity and to reduce the cost of international individual bandwidth, the sharing of active infrastructure must be encouraged. The DoT also endeavours to bring about and update the licensing and regulatory regime, notifying various changes to the existing arrangement. One such significant development occurred in 2016, when the DoT (pursuant to the NTP-12) issued guidelines and a licence agreement for virtual network operators, discussed in detail in Section VI. The various services regulated or licensed under the broadcasting sector include DTH services, FM radio services, uplinking and downlinking of TV channels, and HITS. To offer most types of broadcasting service, a broadcasting company must obtain two types of licence: a licence granting permission to offer broadcast services issued by the MIB, and a wireless operating licence from the Wireless Planning and Coordination Authority of the DoT (WPC). In the case of foreign investment, an applicant company is also required to obtain the requisite approvals or clarification from the Foreign Investment Promotion Board. Further, the appointment of foreign nationals to key positions in such companies may require clearance from the Ministry of Home Affairs. The provision of telecommunication services in India is subject to certain restrictions on foreign ownership imposed by the government. Foreign investment (both direct and indirect) in telecommunication services is permitted up to 100 per cent, which was revised up from 74 per cent in August 2013. The enhanced limits have given a boost to foreign participation in telecom companies in India, and the regulatory authorities have witnessed a large number of applications for increased foreign investment. It may be noted that the condition of foreign investment up to 49 per cent being allowed through the automatic route applicable to the previous FDI cap of 74 per cent has been retained for the enhanced cap of 100 per cent, and any investment beyond that is subject to specific government approval. The revised FDI cap is applicable to all telecom services. Further, foreign investment of up to 100 per cent is allowed for activities such as infrastructure providers providing dark fibre, right of way, duct space and tower (IP Category I), email and voicemail; however, this is subject to the condition that such investors or companies will divest 26 per cent of their equity in favour of the Indian population after five years if these companies are listed in other parts of the world. Further, FDI is subject to licensing and security requirements as prescribed by the DoT and as laid down in the FDI policy. In the terms and conditions of their respective licences, the TRAI and the DoT have taken measures to devise ownership licences that bar a single company or group from controlling more than one licence within a service area. The MIB and the DoT also forbid certain entities from controlling more than one broadcasting service in the same market. In early 2014, the DoT issued guidelines regulating mergers and acquisitions of telecoms services. The DoT has to be notified for any proposal relating to compromise arrangements and the amalgamation of companies as filed before the National Company Law Tribunal. The provisions for substantial equity or cross-holding will not be applicable during a period of one year, unless extended by the DoT in writing. The merger of a licence or authorisation will be for the respective service category. Upon a transfer of assets, the licence or authorisation held by such acquired company will be transferred to the acquiring company, and as such the licence or authorisation of the acquired company will be included in the resultant entity. To offer any additional service or service area, the UL with the concerned authorisation must be obtained. . In 2018, the DoT amended the guidelines issued in 2014 regulating mergers and acquisitions of telecom services. A transfer or merger of licences shall be allowed where the market share for access services in the respective service area of the resultant entity is up to 50 per cent. Upon the implementation of the scheme, the total spectrum held by the resultant entity shall not exceed 35 per cent of the total spectrum assigned for the access services by way of auction or otherwise in the concerned service area. The spectrum cap on combined spectrum holdings in the sub-1GHz bands (700MHz, 800MHz and 900MHz bands) will be 50 per cent. With regard to mergers and acquisitions of telecom companies, combinations breaching the thresholds stated under the Competition Act 2002 (amended in 2009) require notice to be filed with the Competition Commission of India (CCI) within 30 days of board approval or execution of a binding agreement, whichever is earlier. The CCI scrutinises such combinations and forms a prima facie opinion within 30 days of the notice. Where the prima facie opinion is affirmative, the CCI would then order a detailed inquiry into the combination. After the inquiry, the CCI issues its final decision on the combination, which could be to approve the combination, reject it or order certain modifications. Modifications, if acceptable to the parties, would be carried out under the scrutiny of independent agencies, after which a compliance report is submitted to the CCI. broadcasting companies and/or cable network companies shall not be eligible to collectively own more than 20 per cent of the total equity of applicant company at any time during the licence period. Similarly, the applicant company not to have more than 20 per cent equity share in a broadcasting and/or cable network company. Further, the UL specifically mentions ownership rules that bar a single company or group from controlling more than one licence within a service area. Under the conditions imposed by the UL on telecom licensees, a promoter or a corporate group is prohibited from owning more than 10 per cent of the equity in more than one service provider within the same service area. The transfer and assignment of licences is permitted subject to the prior approval of the DoT and the fulfilment of certain conditions prescribed by the UL. One significant condition is that the transfer or assignment should not reduce the level of competition in the service area. Internet and internet-based services are now an integral part of the telecommunications sector. The internet was first introduced to India in 1990 through the Education and Research Network (ERNET) Project funded by the United Nations Development Programme. It was implemented by the Department of Electronics in partnership with various research and technical institutions. However, in the mid-1990s, the external funding of the ERNET ceased, after which the government proposed the NTP-94. In November 1998, the government opened up the sector for providing internet services to private operators (ISPs). A liberal licensing regime was put in place with a view to increasing internet penetration across the country. The NTP-99 envisaged the opening up of internet telephony, whereupon the government decided to permit ISPs to process and carry voice signals (restricted internet telephony) with effect from 1 April 2002. Pursuant to the NTP-99, the DoT announced guidelines that initially only permitted ISPs to process and carry voice signals. Further, with the introduction of new ISP licences in 2008, ISP licence holders were allowed to provide various IP-based services, including IPTV. There are no specific separate guidelines for IP-based services, except that IPTV services are also required to follow MIB guidelines. As per UL guidelines, the authorisation for provision of internet services is granted under the UL. The applicant company has to apply for a UL with authorisation for internet services. The NDCP 2018 envisages the establishment of a light touch licensing regime for the proliferation of public data offices and public data office aggregators for providing internet access through Wi-Fi hotspots. The DoT has created a USO fund to be used exclusively for meeting the USO by providing access to telegraph services (which may include internet, internet telephony, VoIP and other new technology services) to people in rural and remote areas at affordable and reasonable prices. The USO fund was primarily established to provide access to only basic telegraphic services, but provision was subsequently made in the Indian Telegraph (Amendment) Act 2006 to include all types of telegraphic service. The Telegraph Rules 1951 were subsequently amended to enable support for mobile services and broadband connectivity in rural and remote areas of the country. The Telegraph Rules also provide subsidy support to eligible operators for operational sustainability of rural wireline household direct exchange lines. In furtherance of the foregoing, in 2009, BSNL, India's state-owned telecoms provider, also launched a new scheme to promote broadband in rural areas. The NDCP 2018 provides for the implementation of various initiatives (BharatNet, GramNet, NagarNet, JanWiFi) funded through the USO fund and public–private partnerships to ensure universal broadband access. The TRAI is empowered to monitor and regulate charges (including interconnection usage charges and termination charges) and other terms of service. As appropriate, the TRAI issues directions or notifications to regulate charges and terms of service. The TRAI has mandated open access to all network operators, and any disputes therein may be addressed before the TDSAT. Further, the delivery of online content through IPTV is required to conform to the Programme and Advertisement Code. Telecoms licensees providing TV channels are required to broadcast such channels in exactly the form as are registered with or otherwise allowed by the MIB. However, in such cases, the responsibility of ensuring that content is in accordance with the laws, rules and regulations will be with the broadcaster, and the telecoms licensee will not be held responsible. Carrying any broadcast satellite TV channels that are either permanently or temporarily prohibited or that are not registered with the MIB is also not permitted. Guided by the recommendations of the TRAI and MIB notifications of January 2014, Broadcast Audience Research Council (BARC) India brings together the three key stakeholders in television audience measurement – broadcasters, advertisers, and advertising and media agencies – via their apex bodies. BARC India seeks to establish a robust, transparent and accountable governance framework for providing the data points required to plan media spends more effectively. Network operators are only required to monitor and block transmission of content that may be objectionable, obscene or unauthorised pursuant to the requirements of the licensing terms, the IT Act and other applicable regulations. Any voice services, data and images transmitted through telecommunication, broadcasting and cable services are subject to restrictions under several central and state laws, rules and regulations. The Indian Constitution empowers the government to impose reasonable restrictions on free speech and expression in the interests of India's sovereignty and integrity, state security, friendly relations with foreign states, public order, decency and morality, and to avoid contempt of court, defamation and incitement to an offence. The Indian Penal Code applies, inter alia, to all types of expressive media, whether written, spoken or in the form of images. Further, under the provisions of the Cable TV Networks Act, cable operators are prohibited from transmitting programmes that do not comply with the Cable Programme Code (under the Cable Networks Rules), which lists various programmes that ought not to be broadcast on a cable network in the interest of national security and public order. Finally, the government may impose restrictions on the grounds of national security on internet content and websites under the IT Act and under applicable ISP licences. The IT Act provides for the protection of personal data, and contains penal provisions if such data is misused by or due to negligence of a service provider, operator or company. Further, any unauthorised access to customer data or information and any misuse of such information are strictly dealt with under the IT Act and the penal law of India. Telecoms operators are required to maintain call records for their subscribers for a certain period, and are prohibited from sharing customer details with any third party for any purposes other than billing. Last year, the Supreme Court gave judgment in a landmark case considering the right to privacy. The Court held that the right to privacy is a fundamental right guaranteed under the Constitution. In furtherance to this, the government recently introduced the Data Protection Bill, 2018 (DP Bill 2018), which provides for strict regulation of cross-border transfers of personal data, and every data fiduciary is required to store one serving copy of personal data on a server or data centre located within the territory of India. According to the TRAI Recommendations on Privacy, Security and Ownership of the Data in the Telecom Sector, the existing framework for the protection of the personal information and data of telecom consumers is not sufficient. The TRAI has further stated that until the time that a general data protection law is notified, the existing rules and licence conditions applicable to TSPs for the protection of users' privacy will be applicable to all the entities in the digital ecosystem. The concept of data minimisation will be inherent to the implementation of the privacy by design principle. The DP Bill 2018 makes individual consent the keystone of data sharing. To be valid, consent must be freely given, informed, specific, clear and capable of being withdrawn. The Bill provides for the setting up of a Data Protection Authority that will be responsible for the enforcement and effective implementation of the law, and also provides for the imposition of penalties on data fiduciaries and compensation for data principals for violations of the data protection law. Further various obligations have been imposed on data fiduciaries who have access to and process personal data. The laws governing spectrum policy are the Telegraph Act 1885 and the Indian Wireless Telegraphy Act 1933, combined with various rules and regulations. These statutes empower the government or the DoT to grant licences to service providers for carrying out public telephony services under certain terms and conditions. The WPC is the national radio regulatory authority responsible for frequency management, including licensing, and caters to the needs of all wireless users in the country. It exercises statutory governmental functions, issues licences to establish, maintain and operate wireless stations, and is responsible for formulating and maintaining the National Frequency Allocation Plan. In terms of the existing policy, spectrum allocation is linked with the granting of a licence by the DoT. However, as previously mentioned, the TRAI has recommended the delinking of spectrum and access service licences, doing away with subscriber-based criteria for spectrum allocation and linking rural rollout with fresh spectrum allocation. It is expected that a thorough review of the latest recommendations will provide a further boost to the telecoms and media sector in India. The NDCP 2018 provides for a transparent and fair mode of spectrum allocation by developing a fair, flexible, simple and transparent method of spectrum assignments and allocations. To promote efficiency, NDCP 2018 provides for further liberalising the spectrum sharing, leasing and trading regime, and also provides for simplifying the process of obtaining permissions from various agencies such as the WPC and the Standing Advisory Committee on Radio Frequency Allocation. In NDCP 2018, spectrum is recognised as a key natural resource for the public benefit to achieve India's socioeconomic goals; optimise availability and utilisation by identifying and making available new spectrum bands for access and backhaul segments for the timely deployment and growth of 5G networks; and liberalise the spectrum sharing, leasing and trading regime. Further, it proposes constituting a Spectrum Advisory Team to facilitate the identification of new brands, applications and efficiency measures to catalyse innovation and efficient spectrum management. The WPC was responsible for the allocation and assignment of spectrum in India after the delinking of spectrum, which introduced considerable change to the spectrum-allocation methodology. Various telecom regulatory bodies such as the International Telecom Union, the Office of Communications (UK) and the US Federal Communications Commission have recognised that the optimal use of radio spectrum is dependent on flexible spectrum management policies and the multi-time sharing of this precious resource. The NTP-12 had made it an objective to delicense additional frequency bands for public use. It is further specified that the government will identify additional frequency bands periodically to exempt them from licensing requirements for the operation of low-power devices for public use. The NDCP 2018 provides that efficient spectrum utilisation and management can be ensured by systematic audits of spectrum allocated to both commercial and government organisations and further publishing annual spectrum utilisation and availability roadmaps for communication needs, including for aircraft and vessels. Trading and resale of spectrum are not allowed in India. The DoT may ask for the return or surrender of unutilised spectrum or a shift to another spectrum after surrendering a previously allocated spectrum. Due to their rapid and continuous growth, low spectrum allocation and interconnection problems, Indian cellular networks are facing traffic congestion problems, especially in the metropolitan areas. In its recent recommendations in 2018 on the auctioning of spectrum, the TRAI has stated that any remaining unsold spectrum in the 770MHz, 800MHz, 900MHz, 1,800MHz, 2,100MHz and 2,500MHz bands in the auction that was held in October 2016 should be made available for the auction that is to be held in 2018. The NDCP 2018 mentions various actions for the promotion of NGA technologies in India, which include encouraging licensed service providers to utilise NGA technologies to ensure cost optimisation, service agility and new revenue streams, and recognising mid-band spectrum, particularly the 3GHz to 24GHz range, as central to India's strategy for next-generation networks. The revised provisions of the spectrum cap will be extended to the 3,300–3,600MHz band, including a spectrum holding cap of 100MHz per licence. The TRAI has recommended the timing, pricing and quantum of spectrum to be sold in the next round of auctions. According to its recommendations, the entire spectrum should be available for forthcoming auction. Efforts should be taken by the Department of Telecommunications to carry out a harmonisation exercise with respect to the 800MHz, 2,300MHz and 3,400MHz–3,425MHz bands in order to ensure that the entire spectrum that is available for commercial use is subject to the forthcoming spectrum auction. Regarding the 900MHz band, the new entrant should be allowed to bid for 5MHz if at least one chunk of contiguous 5MHz is available; otherwise, the minimum block size should be kept at 0.6MHz. The TRAI further recommends that the 3,300–3,600MHz band should be auctioned as a single band, and that a time division duplex-based frequency arrangement should be adopted for it. Further, spectrum in this band should be put to auction in a block size of 20MHz with a limit of 100MHz per bidder. The DoT has brought about some reforms in the spectrum allocation policies of India, in line with a judgment of the Supreme Court mandating the allocation of natural resources through an auction process. The government had liberalised the payment terms for spectrum auctions by allowing two options for payments to telecom companies to acquire the right to use spectrum: upfront payments and payments in instalments. The NDCP 2018 states that, in order to expand mobile and broadband connectivity across the country, it is necessary to explore and utilise the opportunities presented by next-generation networks like 5G and other pioneering network access technologies, including satellite communications. However, until the time that the NDCP 2018 is approved, the previous NTP 2012 provisions will be applicable. TRAI has recommended that the entire available spectrum should auctioned in the forthcoming October 2018 auction. Further, it has stated that the DoT should carry out the harmonisation exercise in the specific licensed service areas in the 800Mhz band, and should also carry out the refarming and harmonisation exercise in the 2,300MHz band. Network operators are licensed by the DoT and regulated under the Telegraph Act, whereas content providers are required to follow guidelines issued by the MIB. Operators are obliged to transmit channels operated by or on behalf of Parliament in the manner and name as may be notified by the federal government, and at least two terrestrial channels (operated by Prasar Bharati subsidiary Doordarshan) and one regional language channel of a state in the prime band, in satellite mode on frequencies other than those carrying terrestrial frequencies. The guidelines for downlinking of television channels issued by the MIB regulate the broadcasting of foreign channels in India. The guidelines do not specify requirements for local content, but the MIB prescribes the must-carry obligations for the broadcaster. Further, a company permitted to downlink registered channels must comply with the Programme and Advertising Code prescribed under the Cable Television Networks (Regulation) Act 1995, and is required to adhere to any other code, standards, guidelines or restrictions that may be prescribed by the MIB for the regulation of content on TV channels from time to time. Content restrictions are also imposed through licensing terms and conditions. Content that, inter alia, offends against morality or decency, promotes superstition, is defamatory, denigrates India's sovereignty and integrity, affects national security or is in contempt of court is restricted from being broadcast through any service. In addition to the above, the MIB issues advisories and guidelines requiring TV channels to not telecast and carry coverage of certain events and activities, such as the live coverage of terror attacks. Advertisements on cable and radio are regulated under the Cable Advertisement Code and All India Radio's Advertising Code (under the Phase II FM Policy) respectively. The economics of video distribution have changed drastically with the use of the internet for video distribution. The move from broadcasting video distribution has affected the broadcasting industry, and the MIB has brought out new guidelines to regulate this. The MIB has issued guidelines for the provision of IPTV services. According to these guidelines, cable operators, while providing IPTV services, will continue to be governed by the provisions of the Cable Television Networks (Regulation) Act 1995 (Cable Act), the TRAI Act and any other laws as applicable, and as such will be able to provide such content on their IPTV service as is permissible under the Cable Act, and that is in conformity with the Programme and Advertisements Code prescribed thereunder. Further, it provides that if a telecoms licensee provides a television channel through IPTV, such channel should be transmitted in the same form as it is registered with or permitted by the MIB, and it shall be the responsibility of broadcasters to ensure that the content is in accordance with the extant laws, rules and regulations. Carrying any broadcast satellite television channels that are either permanently or temporarily prohibited or not registered with the MIB is not permitted. Digital India is an ambitious programme projected at approximately US$17 billion. It aims to prepare India for a knowledge-based transformation and to deliver good governance to citizens through synchronised and coordinated engagement with both the central and state governments. As a next step towards this initiative, the government has introduced new telecom policy, namely NDCP 2018, which is still a draft and has yet to be approved and implemented. Digital infrastructure and services are increasingly emerging as the key enablers and critical determinants of a country's growth and wellbeing. At the current pace of digitisation and digitalisation, it is estimated that India's digital economy will reach US$1 trillion by 2025. The rapid and unprecedented proliferation of mobile phones, the internet, social media platforms, digital payments, and data consumption and generation across India indicate that the data economy and digital technologies and services are no longer the prerogative of the privileged few; rather, they have evolved into widespread instruments of access and empowerment for more than a billion Indians. The convergence of a cluster of revolutionary technologies including 5G, the cloud, the IoT and data analytics, along with a growing start-up community, promise to accelerate and deepen India's digital engagement, opening up a new horizon of opportunities to implement a successful national optical fibre network project under the BharatNet regime. The NDCP 2018 aims to achieve its objectives by 2022. To ensure the sovereignty, safety and security of digital communications, the government has drafted a Personal Data Protection Bill 2018, which makes individual consent the keystone of data sharing. Consent, in order to be valid, must be free, informed, specific, clear and capable of being withdrawn. The Bill provides for the setting up of a Data Protection Authority that will be responsible for the enforcement and effective implementation of the law, and also provides for imposition of penalties on data fiduciaries and compensation to data principals for violations of the data protection law. Further various obligations have been imposed on data fiduciaries who have access to and process personal data. Personal data can be processed only on the basis of the consent of the data principal, which should be given before commencement of the processing. The DoT is planning a spectrum auction in 2018, which will include the spectrums which were left unsold in the last auction and also the 5G spectrum. The TRAI has issued recommendations on the sharing of infrastructure in the television broadcasting distribution sector, providing that in order to reduce the cost per subscriber of network establishment, operations and maintenance, accelerate the geographical expansion of services and reduce the rural–urban digital divide, the sharing of infrastructure in the TV broadcasting distribution network should be allowed on voluntary basis. Infrastructure will ultimately lead to an ecosystem wherein the network operator can focus on the efficient operations and maintenance of distribution networks and associated systems to ensure maximum uptime and optimal utilisation of available distribution network capacities, while a data protection officer (DPO) providing services using the network of another DPO can also focus on servicing the needs of consumers. In furtherance of previous efforts to regulate unsolicited commercial communications (UCC), the TRAI recently issued the Telecom Commercial Communications Customer Preference Regulations, 2018, wherein a completely new technology, which is based on distributed ledger technology, has been introduced to curb the menace of UCC. Improvements in regulation and ongoing structural reforms are the pillars of the policy, which recognises the importance of the continued improvement of the regulatory framework for attracting investment and ensuring fair competition to serve the needs of Indian citizens. With its diverse provisions, the NDCP 2018 is intended to benefit consumers as well as industry players providing telecommunications services. With the advent of newer technologies and the use of data services, the need for spectrum is rising every day. This has paved way for the upgrade to 5G networks in the telecom sector. Recently, in reference to a DoT letter dated 23 July 2018, the TRAI outlined its recommendations on the auction of spectrum, including recommendations on the valuation and reserve price of spectrum in the 700MHz, 800MHz, 900MHz, 1,800MHz, 2,100MHz, 2,500MHz, 3,300–3,400MHz and 3,400–3,600MHz bands, under which it recommended that the entire available spectrum should be put to auction. 1 Atul Dua is a partner and Anuradha is a senior associate at Advaita Legal.